Small but spacious the Agila is best described as a city-sized MPV, with a tall, boxy body giving it lots of room for a small footprint on the road. 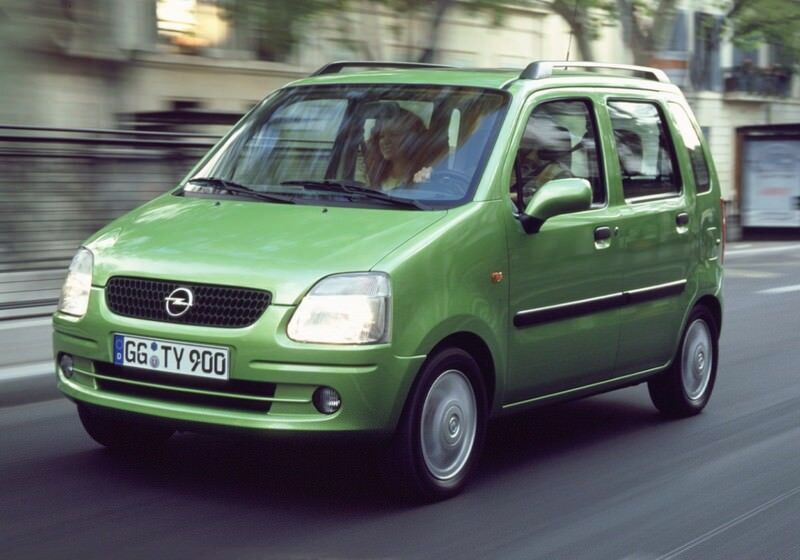 With a small gap in its range in 2000 Opel did what many other manufacturers do and went shopping for a filler. Suzuki came up trumps with its Wagon R model. Badged as Opel Agila, aside from the grille, engines and a few interior trim bits it's identical to its Suzuki relation. Small but spacious the Agila is best described as a city-sized MPV, with a tall, boxy body giving it lots of room for a small footprint on the road. It might wear the European badge of Opel, but it was designed for the congested streets of Japan by Suzuki. That means there's a lot of space inside, so the Agila is among the more usefully proportioned small family cars you can buy. It's unusually tall, with room for even the most freakishly lanky front and rear. Four fit comfortably, five's a real push, but all that space for people means the boot's not exactly huge. Engine options were from Opel's small car line-up, so there's a choice of 1.0- and 1.2-litre petrol units, both of which are fitted to a five-speed manual gearbox. The 1.0-litre three-cylinder engine produces 60hp and the 1.2 four-cylinder delivers 74hp. Neither is particularly brisk, though the larger engine does shave a sizeable five seconds off the 1.0-litre car's 0-100km/h time of 17.7 seconds. A 1.3-litre CDTi turbodiesel engine was also offered, but it's very unusual to find them in the classifieds. Trim levels follow the Opel norm, so you'll find, Expression, Club and Design in the Carzone.ie site, the majority of choice being the entry-level Expression models. They're fairly basically equipped, as befits their inexpensive purchase price. The standard equipment comprises of a driver airbag and that's about it. Extras included more airbags, central locking and powered windows, but most Agilas are simply specified. To drive it's as earnest as you'd expect, little more than transport, while the styling inside and out is forgettable, if functional. By virtue of being the most common the 1.0-litre Expression model is the one to go for. It's not fast, but what the three-cylinder engine lacks in performance it makes up for in enthusiasm. Specs are basic though. The Agila is a no-nonsense machine for those wanting something that's small and easy to drive, but offers good interior space and relatively low running costs. In no way exciting, but useful, and that's what will matter to its buyers.